How Can I Protect My Jacksonville Home from Mildew? Jacksonville is warm and humid for much of the year, and that’s part of why we love where we live! However, these conditions enable mildew and mold to thrive. In Northeast Florida, protecting your home from mold and mildew is an ongoing battle, and there is no one-size-fits-all recipe for keeping these problems at bay. Our tips can help you formulate the best plan for protecting your home! Pressure Wash Prior to Exterior Painting– Before an exterior painting project, it’s almost always recommended that you pressure wash the home’s surface first with a chlorine mixture.When mold or mildew is present, this step cannot be skipped. The mold and mildew must be removed, or else the existing spores will just infect the new paint film and continue growing under it, ultimately causing damage to various structures in your home. If you paint your home yourself, the pressure washing is up to you. If you hire a highly rated house painting company, this will be done as part of the painting job, when needed. Choose the Best Coating – Generally speaking, a fresh coating of paint will protect your home, presuming all necessary prep work has been done first (including chlorine pressure washing, as described above). 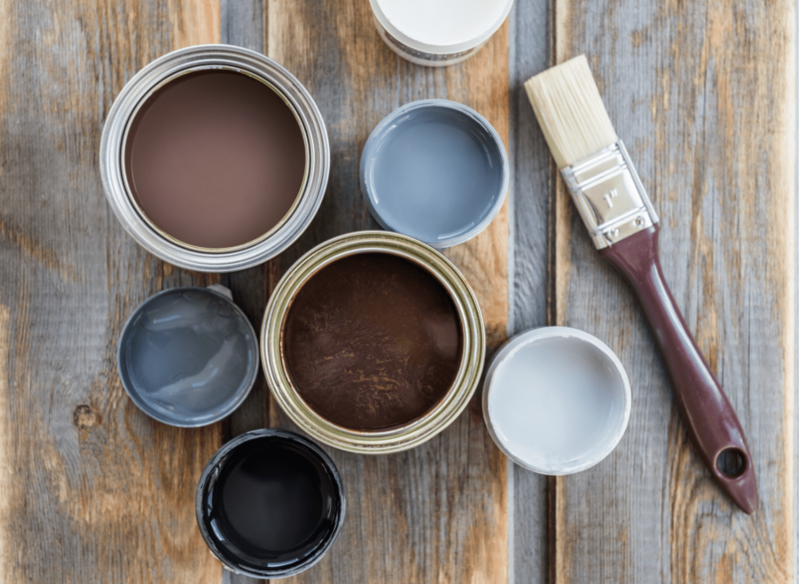 When the time comes to paint, consider mildewcides and mold inhibitors, but consider other types of coatings as well, and ask the experts, including highly rated painting contractors, and the specialists at the store where you purchase your paint. Be aware that anti-mold paint should be handled with great care; it’s toxic to pets and people. When applying such coatings, you’ll need to wear protective equipment, such as safety glasses and a mask or respirator. Monitor for Mildew / Mold– Watch for mildew and mold and wash those areas of your home with chlorine when you discover them. Given our climate, mold and mildew can crop up almost anywhere at almost any time, even on a freshly coated house exterior. Watch especially for areas that are always in the shade, frequently damp, covered by vegetations, etc. Tackle the Problem at Its Root – Assess the cause of mold and mildew and tackle the problem at the root whenever possible. 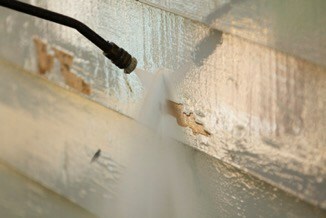 For instance, mildew may be caused by a water leak on the property that needs to be addressed. If mildew grows in an area of the house that is covered or shaded by vegetation, consider removing or at least trimming back the vegetation. Mold and mildew growth are pesky problems that can be tough to completely remove, especially when they’re present on porous surfaces such as wood. Most homeowners choose to avoid the frustration and call on a great professional painting company to take care of everything! The Painting Craftsmen is the best Jacksonville FL painting company and the professionals to trust with your exterior painting project. Our Project Coordinator can help you plan your project, and our highly trained technicians will coat your home in the color and sheen of your choice. The Northeast Florida climate can make home maintenance tricky, but homeowners in Jacksonville, Atlantic Beach, San Marco, Ponte Vedra Beach, Sawgrass, and the Beaches trust The Painting Craftsmen to keep their homes looking great! 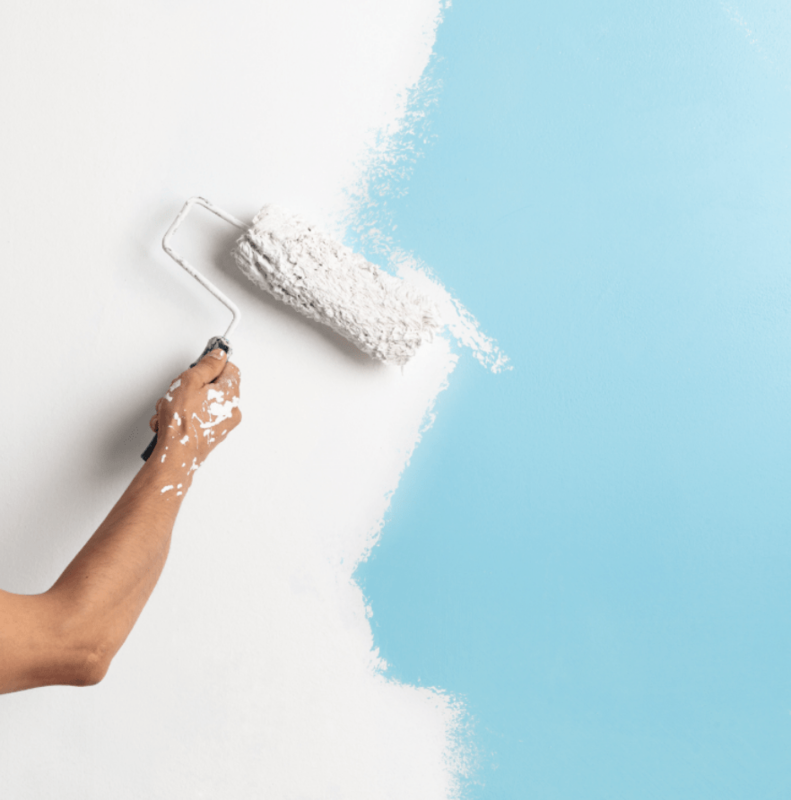 Giving a room or two in your home a fresh coat of paint is an exciting and satisfying DIY project, but it takes a lot of planning to get it right. As you plan your painting project, avoid these common mistakes! Don’t skimp on protection. You need to thoroughly cover and protect the area where you’ll be painting. Cover furniture or move it far away from your work area. Lay down drop cloths to cover all nearby surfaces that aren’t part of the painting project. Spend time taping and masking off the area. You shouldn’t cut corners on any of the prep work, and especially not when it comes to protecting your furniture and flooring! Don’t settle for cheap coatings. Many homeowners think they’ll save money by opting for the least expensive paint or coating. In reality, the opposite is often true! If you buy the cheapest paint, you’ll often end up needing more and more, whereas if you select a high quality top coat with strong pigmentation and the right chemical makeup for your surface, you’ll likely cover the area in a single coat. Don’t settle for cheap applicators. Again, if you reach for the cheapest brushes and roller covers, you’ll probably end up frustrated. 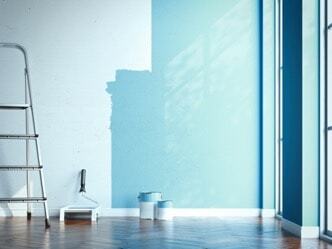 Fuzz from cheap roller covers and hairs from cheap paint brushes can come out and stick to your freshly painted walls. Find high quality brushes and applicators that don’t “break the bank,” and your project will go smoothly, figuratively and literally. Don’t rush! Once your painting project is underway, don’t rush through the work. When you rush, you’ll get drips and spills, your lines won’t be straight, and the coverage might be too thin on parts of the wall. You need to take your time, keep your hand steady, and give the work the time and attention it calls for. Don’t bite off more than you can chew! House painting is one of (if not the most) cumbersome and tricky DIY projects out there. Even small painting projects require lots of planning, lots of prep work, lots of manual labor, and lots of your precious time. Why not call on a great professional painting company to do the job? When your painting projects gets too big, call on The Painting Craftsmen, northeast Florida’s luxury house painting service. The Painting Craftsmen is the best Jacksonville FL painting contractor and the company to trust with your home’s painting project. Our technicians are trained and experienced painters and know how to perform each paint job with precision and efficiency. We are the painting service of choice for customers throughout downtown Jacksonville, Riverside Avondale, San Marco, and along the Beaches, and we’d love to take care of your interior painting project for you. 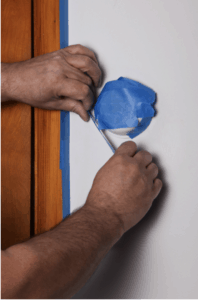 Painter’s tape can contribute greatly to the success of your DIY painting project. Use our tips to help you get clean, crisp lines when painting your home! Start with good quality tape. Instead of just grabbing the masking tape in the junk drawer, buy painter’s tape that is specifically formulated to protect the surface underneath it. Great quality painter’s tape goes on smoothly and comes off cleanly, keeping paint from leaking onto the molding or wall as you work. Painter’s masking tape comes in several levels of adhesion, including tape for masking over delicate surfaces. 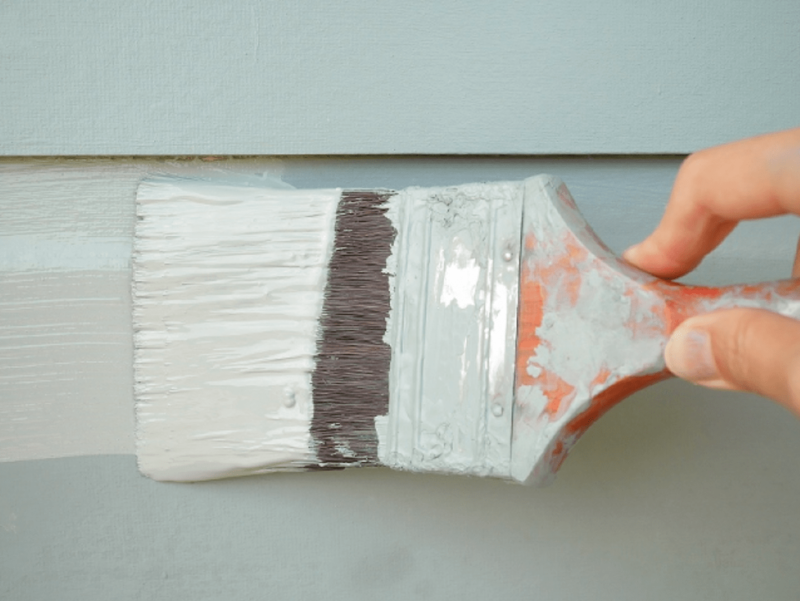 Painter’s masking tape is available at hardware stores and paint supply stores, and you can ask the painting professionals if you need help choosing the right one for your specific paint job. Wipe down the surfaces before taping. Use a damp rag to wipe down the moldings or wall where you’ll be applying the tape. If you don’t wipe down the surfaces first, the tape won’t adhere well or stay in place while you work. If you want to use an applicator, choose it wisely. Most painter’s tape brands offer tape applicators which are designed to help you apply tape quickly and precisely. Before purchasing such an applicator, read the reviews or talk to a professional painter or seasoned DIYer to be sure you’re spending your money on a worthwhile product and not a gimmick. Instead, you can usually, skip the applicator and simply press one end of the tape onto the molding. Then hold the end in place with your finger while you unroll several inches from the roll of tape and press them into place against the molding. Keep the entire roll of tape flush against the wall and continue unrolling several inches of tape at a time, pressing it onto the molding, until you’ve taped along the length of the entire wall. Apply lengths of tape in sections that are several inches long. If you apply lengths of tape that are too short (such as 1-inch pieces) or too long (such as 2-ft lengths), it will be very hard to form a straight and smooth line as you go. Press the tape into place firmly. As you apply the tape, make sure you’re pressing firmly on the edges of the tape to seal it securely against the molding or wall surface. If the tape does not adhere firmly and fully, paint can leak through onto the underlying surface. Pro painters and DIYers like to angle a putty knife blade along the length of the tape, pressing firmly. Tape corners with care. To apply tape in a corner, run the first length of tape across the molding and slightly onto the adjoining wall. Use a putty knife to press the tape firmly into the corner. Then use a utility knife to cut away the excess tape. Remove the tape at the right time. When your painting project is done, pull up the tape at about a 45-degree angle to the surface. (This angle will prevent the paint from peeling up with the tape.) If you wait too long to pull up the tape, the adhesion may harden and get stuck onto the underlying surface. Ideally, you’ll either pull up the tape immediately when you finish painting the area, or after approximately 24 hours, giving the paint time to dry but not harden in place. If any piece of tape remains, score it with your utility knife and then remove the piece. This way the tape will come of cleanly without damaging the paint job. Or, of course, you can skip the hassle with the tape – and the endless list of other prep work that needs to be done – and call the best painting contractor in your area! The Painting Craftsmen is the best professional painting company Jacksonville FL residents trust with their interior and exterior painting projects. We’re the trusted name in Jacksonville, Riverside, Mandarin, and San Marco house painting, and we’d love to take care of your painting project for you! When planning your painting project, it’s important to find a high quality, reputable painting service. The painters you hire will be on your property and inside your home, generally for several days or more, depending on the size of your painting project, so you want a good painting service you can trust. So what makes a great painting company? Clear Estimate or Quote – A good painting contractor will perform a thorough estimate and provide clear pricing. The estimator will also be able to answer any questions you have and discuss the project pricing with you clearly and completely. Good Communication – Good painting companies know the value of good communication. The project manager or representative should be available to you to answer questions, explain any issue that may arise, and keep you informed all along the way, whether the project lasts less than 1 day or for several weeks! Experienced Painters – Trusted painting companies must employee skilled and experienced painters who know how to paint the numerous types of surfaces and apply the seemingly endless variety of coatings out there. Insurance – The painting company you hire for your project must be licensed, fully insured, and Lead-Safe Certified. As with any service company that comes to your home, you should also make sure the company orders background checks on their employees. Commitment to Quality – A great painting company must have a commitment to quality that is shared by the management and the technicians alike. 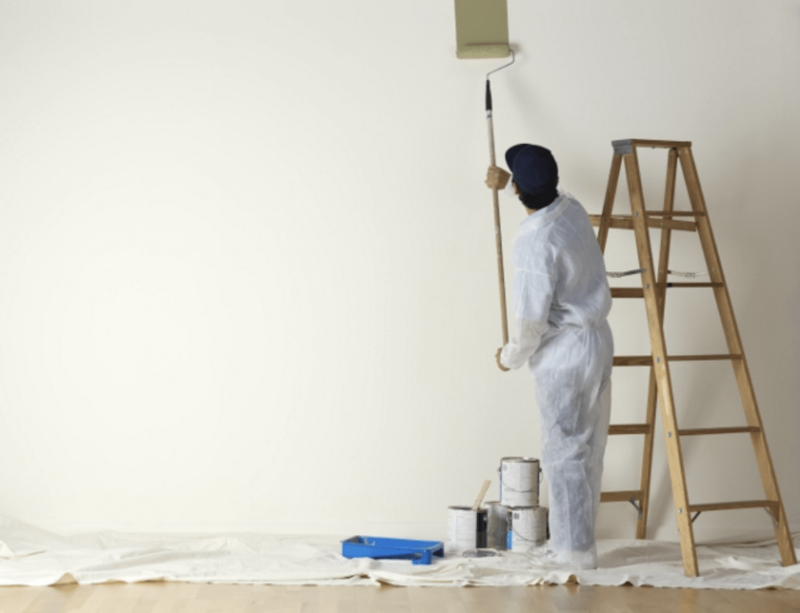 Trusted painting services in the area earn that trust by providing top quality work on every job and providing their clients with outstanding service. Find a great painting contractor who meets this criteria, and you can feel confident that your painting project is in good hands! The Painting Craftsmen is the best painting company Jacksonville FL homeowners trust. We take pride in our work by using only the best materials, delivering the best customer service, applying the right skill and technique in our work, and by building the best possible team of painters through a highly selective hiring process followed by extensive training. We’re ready to come give your home’s exterior that fresh coat of paint or brighten up your living room or dining room with a new color scheme. 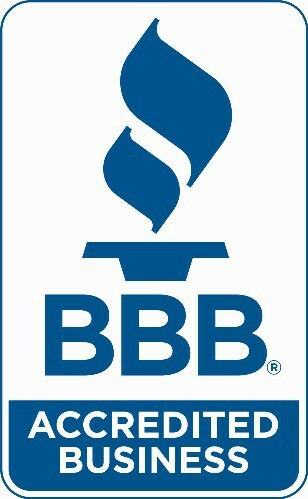 Call on us and see for yourself why we are Jacksonville’s top painting company! There are several tools that you need to have on hand in order for your painting project to go smoothly. Whether you’re touching up scuff marks or repainting an entire room, these supplies will make a huge difference in how easily your project comes together, and how great the results look. Painter’s Tape – For painting projects, masking tape simply won’t work as well as painter’s tape. Painter’s tape is just as easy to apply as masking tape, but painter’s tape is formulated to keep even small amounts of paint from seeping through the seal. The adhesive in painter’s tape is also less likely to damage the surface or pull up dried paint once the job is done and you’re cleaning up. Canvas Drop Cloth – You need to protect the floor in your work area, and canvas drop cloths are really the only good way to do this. Avoid using the alternative plastic sheathing, as this can cause slip hazards, and are frustrating to open and spread out. Putty Knife – You’ll use a putty knife for many things throughout your project: gently scraping away grime, pressing down painter’s tape, and more, as well as smoothing over putty if the project calls for such a repair. Quality Brushes – High-quality brushes may seem costly, but they are well worth the investment. With brushes – perhaps more than any other painting supply – you get what you pay for. A good quality brush allows you to cut in with straighter edges, hold more paint in your brush, apply even coats, and generally create great results. Quality Rollers – Don’t skimp on the roller covers and frames. Cheap roller covers hold very little paint, causing you to have to reload frequently, and making it unlikely that you’ll get the room painted in a single coat. They’re also more likely to leave bits of lint, streaks, etc. on your walls as you paint. Buy several good quality roller covers in the best depth of nap for your specific project, and you’ll be able to coat the walls thoroughly and efficiently. Extension Poles – Unless your painting project is small and simple, like a flat panel door, you’ll want to purchase a good extension pole for your roller. This extension provides you with reach and leverage, and allows you to paint ceilings and full walls almost effortlessly. The extension speeds up the rolling process and also saves your wrists from becoming sore and tired before the job is done. Invest in high-quality tools (and of course in high-quality paint!) and you’ll enjoy the results and the process better than if you skimp on supplies. Or, just call on a great painting company and have professional painters check that painting project off of your to-do list for you. The Painting Craftsmen is the best Jacksonville FL painting company and the right choice for your painting project. Our highly trained and experienced painters are skilled in applying coatings efficiently, smoothly, and with great precision. It’s easy to see why our customers in San Marco, Mandarin, Ponte Vedra Beach, and throughout Jacksonville call on us every time they have a painting project in mind for their homes. Call on us for high-quality exterior painting, interior painting, and cabinet refinishing – you’ll love the results! When planning an exterior house painting project, there is a lot to consider. One of the first decisions you’ll need to make is what type of application to use: paint or stain. Our pros and cons can help you make the right choice for your project! Summary – Acrylic latex paint is water-based, available in numerous sheens and every conceivable color, and the favorite of professional painters and DIYers alike. Pros – Acrylic latex paint is flexible, even once it dries, enabling it to “breathe” and accommodate changes in temperature without cracking. Acrylic latex paint is easy to apply and easy to clean up; brushes can simply be cleaned with water. Acrylic paint covers its surface thoroughly, and a high quality paint job last for years. Cons – It’s hard to think of a downside of using acrylic latex paint! Acrylic paint dries more quickly than oil-based paint, so as you work, you’ll need to be sure you don’t leave laplines or brush strokes. Summary – Oil-based paint used less frequently than acrylic latex paint, but there are still certain surfaces for which oil-base paint is good to use due to its hardness. Pros – Oil-based paint is extremely durable. It hardens when it dries, and becomes even harder with time, making it ideal for exterior surfaces that get a lot of use, such wooden stairs, or the floor of a covered porch. Cons – In addition to hardening over time, oil-based paint also gets brittle and cracks over time. Brushes and tools that have been used to apply oil-based paint must be cleaned with harsh (and toxic) solvents. The fumes emitted by oil-based paints are strong, and require adequate ventilation during application. Summary – Stain seals and protects wood siding, and allows the wood to show through the coating (unlike paint, which thoroughly coats the natural features of wood). It comes in three finishes: clear, semi-transparent, and opaque. Pros – Stain often does not require the same amount of rigorous surface prep work that paint requires, and does not require primer. Cons – Stain is not as protective as paint. Sunlight can still penetrate the stain and cause the wood to discolor. As such, stain generally needs to be reapplied more frequently than paint would require. Important Tip: Regardless of whether you choose paint or stain, and which particular finish you choose, it’s important that you choose a high quality product. With both paint and stain, many homeowners and subpar painting companies think that by purchasing the cheapest paint, they’ll save money. In reality, the opposite is true: If you invest in high quality paint, you’ll generally need fewer coats to get the coverage you want, and the coating will last longer and look better. Painting and staining projects are complex and require skill to get the desired results. Most homeowners choose to call on a great professional painting company for the job! The Painting Craftsmen is the best painting service Jacksonville FL homeowners trust for their painting projects. We’re passionate about our craft and take great pride in providing homeowners throughout Mandarin, Riverside Avondale, Ponte Vedra, Ortega, and downtown Jacksonville with the highest quality paint application on the market. Our technicians are highly trained and skilled professionals who our clients call on time and again for their painting projects. When you plan your next painting, staining, or cabinet refinishing project, call on us! Low Maintenance – A high quality epoxy coating requires only minimal maintenance. Once your garage floor is coated in epoxy, it becomes sealed and no longer porous. This means spills won’t absorb and cause problems for you later, and leaked oil or spilled chemicals won’t require specialized cleaning solutions to be removed. Just wipe up the spill and you’re done! Durable – Epoxy-coated concrete creates one of the most durable finishes available. Epoxy finish is long lasting and resists considerable wear. After the epoxy is applied, it converts to a solid polymer, cures, and becomes incredibly strong. You can drop sharp tools on it, stack heavy boxes on it, and of course drive on it, and it will look just as good as the day it was installed. Safe – Epoxy coating resists slippage, extreme impact, and high temperatures, and is resistant to fire, water, and shock. 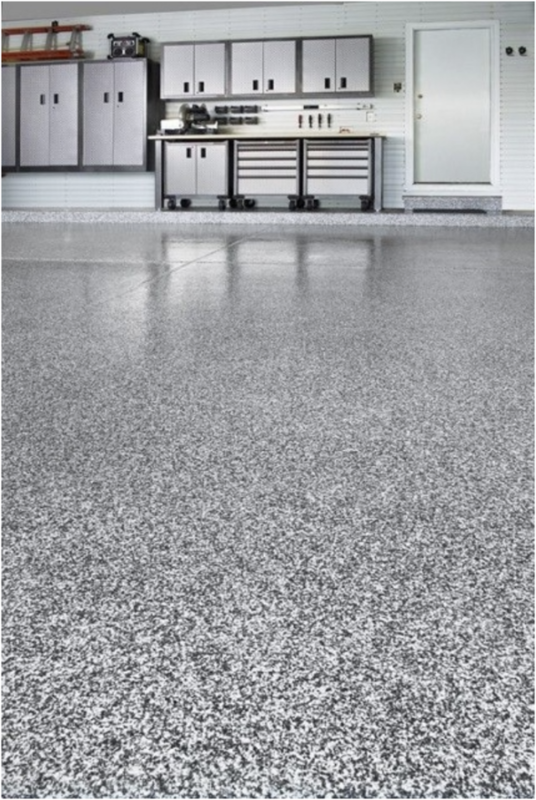 There simply is no safer coating for your garage floor. Epoxy flooring provides a professional and polished look to your garage, makes your life easier, and enhances your home’s aesthetic. Treat your home and yourself to this luxury without a second thought! The Painting Craftsmen is the Jacksonville FL epoxy flooring experts! We use a state-of-the-art, commercial-grade epoxy formula, and the best installation methods to ensure your epoxy floors look great and last. We do intensive prep work, including thoroughly cleaning the surface and prepping it by grinding and etching so that the epoxy bonds perfectly and smoothly. We install layer upon layer of tinted epoxy base coat, and colored texture pieces and chips, followed by a glossy finish coating, ensuring the floor is solid and long lasting. It only takes a day or two, and then the floor dries and cures for another day or two, and it’ ready to use. It’s easy to see why homeowners in Jacksonville, Fleming Island, Atlantic Beach, and Ponte Vedra Beach call on us to install their high quality epoxy flooring, as well as for painting projects, cabinet refinishing, and more. When it comes to protecting your home and making it look great inside and out, The Painting Craftsmen is the company to call! Your kitchen cabinets are more than just storage… they are the key element in your kitchen’s design and overall feel. When your kitchen is in need of a facelift, you can redo the floors or install different countertops or paint the walls in a fresh coat of paint, but nothing has the power to transform your kitchen like refinishing the cabinets. Custom Finishes – Cookie-cutter design schemes are a thing of the past. Now, clients want the kitchen to be tailor made for their personality and tastes. Clients want cutting edge finishes and colors that stand out. Cabinet manufacturers have been producing more and more color and finish options, but no manufacturer can compete with the array of colors and finishes a great cabinet refinishing company can offer. A good painting contractor has the tools, materials, and skills to transform your cabinets into whatever you dream up! 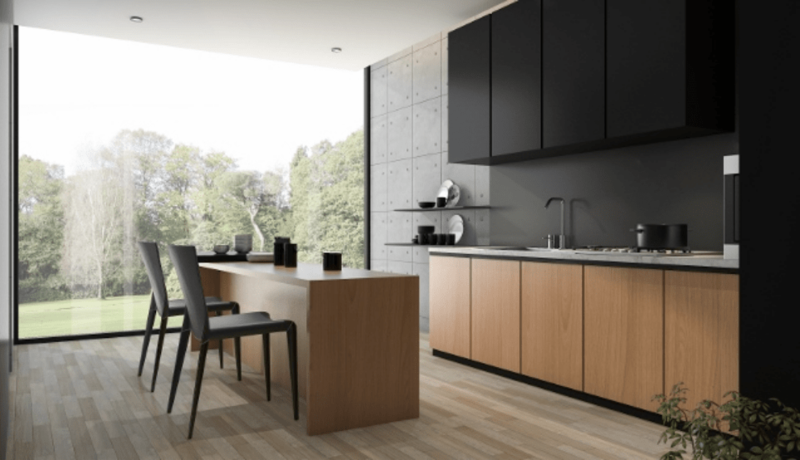 Clean Lines – Clean lines, minimalism, and a modern aesthetic are popular trends throughout design and decor, and kitchen cabinets are no exception. With this modern trend, the ornate design work found in more traditional styles is gone in favor of smooth edges, minimal hardware, and low profile designs. Open Shelving – A growing trend in kitchen design is toward open shelving. In magazines, open shelving is perfectly curated to show straight stacks of dishes and no clutter. For organized homeowners who can maintain this clutter-free look, open shelving can create a sophisticated and contemporary feel. Open shelving also lets the wall color show through. If you opt for open shelving, have a great painting company first cover the walls in the color of your choice. Multiple Finishes – Cabinet manufacturers offer a vast array of finishes, and a good custom cabinet refinishing company offers still a wider array! Homeowners take advantage of these offerings by mixing several finishes in the same kitchen. For example, upper cabinets may be painted a dark tone while lower cabinets are left a warm, natural maple. Or the cabinets and drawers in the kitchen island may be painted pale gray, while all other cabinetry is finished with a deeper gray glaze. Your home should be an expression of your personal style and taste. For many homeowners, the kitchen is the most important room in the house, and a natural place for congregating and spending time. Dream up the perfect look for your kitchen and call on the highly rated cabinet refinishing company in your area to make the dream a reality! The Painting Craftsmen is the best painting company Jacksonville homeowners love and trust. We are the expert cabinet refinishing company and the service to trust with your kitchen cabinetry. Cabinet refinishing is our passion, and we only hire experienced and highly skilled craftsmen for our team. We’re the painting company of choice throughout Avondale, San Marco, Ponte Vedra, and Jacksonville, and we’d love to create the kitchen of your dreams, too. Deciding on paint colors can be the hardest part of an exterior painting project. The paint and materials are an investment, and then there is the pressure of choosing colors that will look great on your particular home and in your particular neighborhood, and that will stand the test of time. Jacksonville FL is home to many diverse and beautiful neighborhoods. Use our tips for planning the best possible color scheme for your own home! Let the color contrast with the landscape. If your yard is shaded with dense, deep green trees, try choosing a pale neutral or pastel for the house. In contrast, if your property includes many flowering trees or tropical flowers, choose a gray or cream for the home in order to highlight the bright colors in the yard. Vary shades of a single color. For example, you can identify an accent piece on the home, such as shutters or trim, and paint the accent items either a darker or lighter shade than the color of the house’s siding. Work with the color of existing materials. For example, if a portion of your home is made of stone or brick, let the colors of these masonry materials dictate the colors you choose for the other areas of siding. Let the style of your home determine its palette. Your Craftsman style home in Riverside Avondale would look best in the earth tones loved by the designers of that era. Your stucco home in San Marco would look best in beige or other pale neutrals, perhaps with an accent color to add an extra measure of character. Research your home’s era and borrow boldly from the time period. Take cues from the neighborhood. Look to the other homes in your neighborhood for inspiration, and specifically, from the homes on your very street. Do you live in a beachfront home along Ponte Vedra Beach? Use beach-inspired neutrals, or a palette that emulates the sea itself. Do you live on a shady, tree-lined street in Mandarin? In that case, you might incorporate deeper earth tones, in order to blend into the surrounding nature. Go with a “tried and true.” When in doubt, rely on a classic scheme for your home, such as a beige or gray siding with white trim, or white siding with dark trim and a colorful front door. Your home deserves the best, and when it comes to interior and exterior painting projects, that means calling on a highly rated painting contractor like The Painting Craftsmen. We believe in treating every home as if it were our own, from the prep work and primer coat all the way to the final topcoat. It’s easy to see why homeowners in downtown Jacksonville, Atlantic Beach, Ponte Vedra Beach, and throughout the region choose us for their painting projects. The Painting Craftsmen is the best Jacksonville FL painting company, and the evidence is in the quality of our work. Let us get started on your house painting project! What is the Best Exterior Primer for My House? It’s common knowledge that without the right prep work, a project is almost certainly doomed. That goes for nearly any type of project, but is especially true of exterior house painting. Proper prep work is critically important, and that includes selecting the right primer coating. A good primer enables paint to adhere more strongly to the surface, smooths into cracks and soaks into pores in the substrate, and improves the paint’s ability to resist surface moisture. In short, a good primer is key to the success of any paint job. So how do you find the best primer for your home? The main idea is to find a primer that will adhere to the specific surface you’ll be painting. Our tips can help! Acrylic Primer: Acrylic primer, or latex primer, has become the standard and is used much more frequently than its oil-based alternative. Acrylic primer is water-based, and is used to prime most wood siding and trim, galvanized metal, and T-111 and Hardie board siding. Alkyd Primer: Alkyd primer, or oil-based primer, has become less common, but does still have its place. For example, if you’re painting steel or wrought iron, you may want to find an alkyd primer that inhibits rust. Also, if you plan to use an oil-based topcoat, you’ll want to use an oil-based primer, as well, in order for the topcoat to adhere best. Primer Formulated for Masonry: For brick, concrete, stucco, and other masonry surfaces, it’s often best to find a primer specifically formulated for masonry. Such primers are more permeable than others, which allows any moisture within the masonry to escape without damaging the paint. Primer Formulated for Problem Areas: Many primers are specially formulated to combat specific issues. For example, the surface you’re painting may be in the shade, and is susceptible to mildew. In this case, you may want to find a primer with a mildewcide included. Or, the surface you’re painting may be in constant sunlight, in which case you may look for a primer that is formulated to block UV rays and prevent fading. If you’re painting bare, unpainted wood, you may want to find a primer that is formulated to block stains, as the tannins in the wood will try to bleed through the paint as time goes by. Whatever primer you decide on, we recommend investing in a high-quality version. A high-quality primer is the foundation for a high-quality paint job and a finished product that will stand the test of time! Of course, you can always call on a great painting contractor to give your home a beautiful, professional paint job! Your home deserves the best, and when it comes to interior and exterior painting projects, that means calling on a highly rated painting contractor like The Painting Craftsmen. We believe in treating every home as if it were our own, from the prep work and primer coat all the way to the final topcoat. 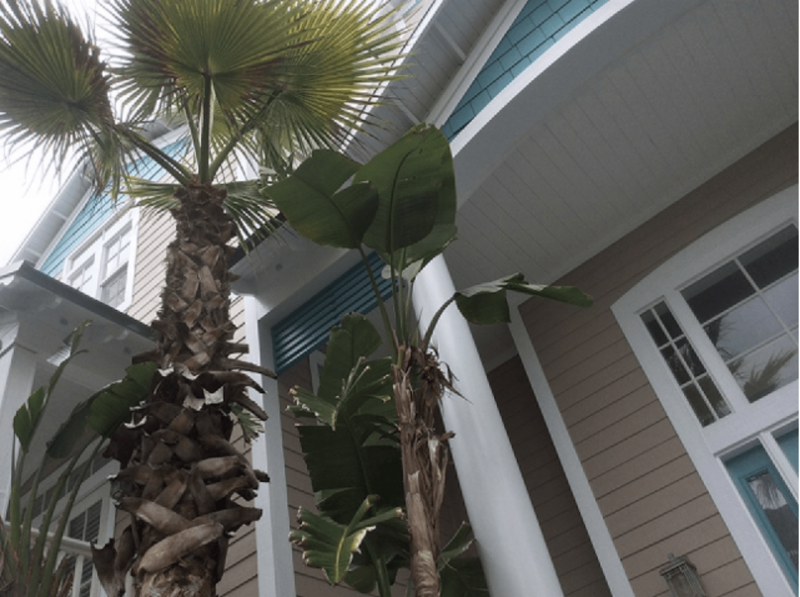 It’s easy to see why homeowners in downtown Jacksonville, Atlantic Beach, Ponte Vedra Beach, and throughout the region choose us for their painting projects. The Painting Craftsmen is the best Jacksonville FL painting company, and the evidence is in the quality of our work. Let us get started on your house painting project!